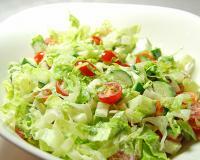 Lida: This is a very easy and healthy salad recipe. Just use fresh ingredients and fresh lemon juice for a great taste. You may also want to replace lemon juice with some balsamic vinegar. 1. Boil and cook green peas and corns with some salt. Drain and let them cool down. 2. Chop onion springs, parsley, tomatoes, walnuts and pickles. 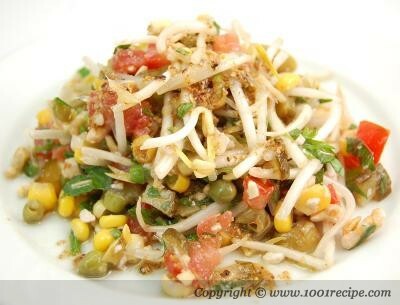 Add corns, green peas, olives and bean sprouts to them. 3.Add salt, pepper, oregano, lemon juice and olive oil. Mix well. 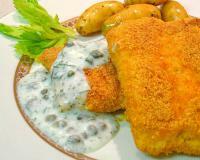 4.Keep in the fridge for at least 1 hour before serving.